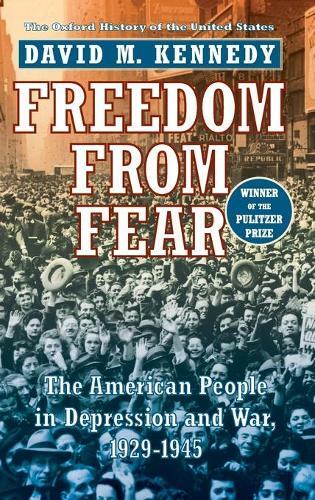 Between 1929 and 1945, two great travails were visited upon the American people: the Great Depression and World War II. This text tells the story of how Americans endured, and eventually prevailed, in the face of those unprecedented calamities. The Depression was both a disaster and an opportunity. As the author demonstrates, the economic crisis of the 1930s was far more than a simple reaction to the alleged excesses of the 1920s. For more than a century before 1929, America's unbridled industrial revolution had gyrated through repeated boom and bust cycles, wastefully consuming capital and inflicting untold misery on city and countryside alike. Nor was the fabled prosperity of the 1920s as uniformly shared as legend portrays. Countless Americans, especially if they were farmers, African Americans, or recent immigrants, eked out threadbare lives on the margins of national life. For them, the Depression was but another of the ordeals of fear and insecurity with which they were sadly familiar.